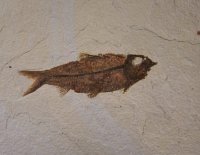 Framed Knightia Wyoming Fossil Fish [FISH456] : Fossils Online, Welcome! Attractive display that is ready to hang. 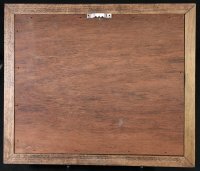 Frame measures 12 3/4" x 10 3/4". 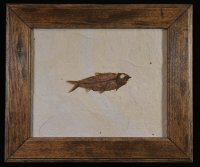 The fish is 4 1/2" long.